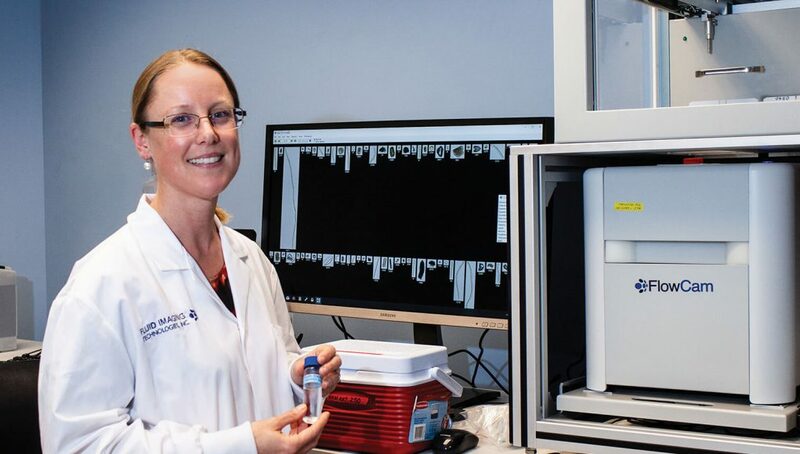 Born in Transvaal, South Africa, Wright’s journey to applications scientist at Fluid Imaging Technologies in Scarborough was far from direct. She is a classically trained pianist who spent most of her young life preparing for a career in music. “But I loved science, too, and I wanted to be able to make a living!” she says, laughing. During her undergraduate work at the University of New England, Wright, took an internship at Bigelow Laboratory in Boothbay Harbor. There she met her first serious science mentor, Paty Matrai. “She propelled my interest forward. She gave me opportunities to go out to sea, conduct research in her lab and participate in global projects. 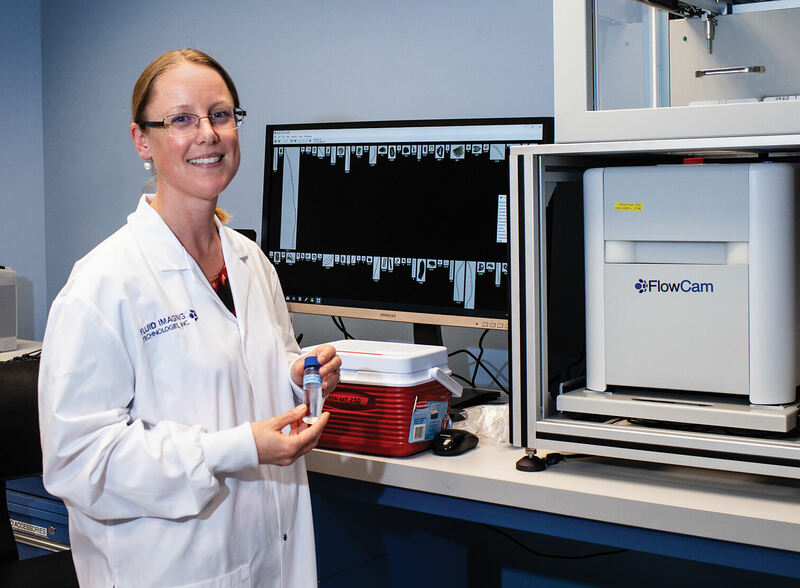 It was real science.” That same summer, Wright met Chris Sieracki, the developer of the FlowCam, a particle analysis instrument that Fluid Imaging is known for.